Memory Trigger – Ho Jayega. This is the mug from which I now drink my morning and afternoon tea. 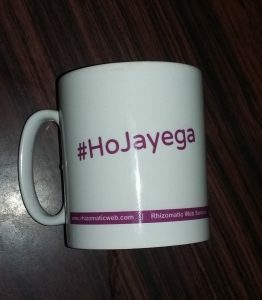 Ho Jayega in Hindi means It Will Happen. Yesterday evening I heard my son Ranjan singing something that sounded like arewah punma punma punma. I couldn’t decipher the words but the tune was familiar. So I went searching for the tune and found it on Youtube. Way back in 1978 my sister in law visiting from Nigeria had brought a long playing record by a totally unknown to us, band called Osibisa. One song in it was Ojayeoja. In that song, there is a phrase that goes aloma kuluva kuluva kuluva or, something like that. Not knowing the language we used to hum along with the tune. Some time later I asked Ranjan what made him come up with that tune and he said that he found the word phunuwa used by some people funny and so used the word in the tune. Phunuwa being a dialect of Hindi for phone – cell phone that is. So, Ho Jayega, and phunuwa put together took me to this song. A very catchy tune that had the effect of becoming an ear worm often. This entry was posted in Family, Music, Nostalgia and tagged Ear worm, Osibisa. Bookmark the permalink. 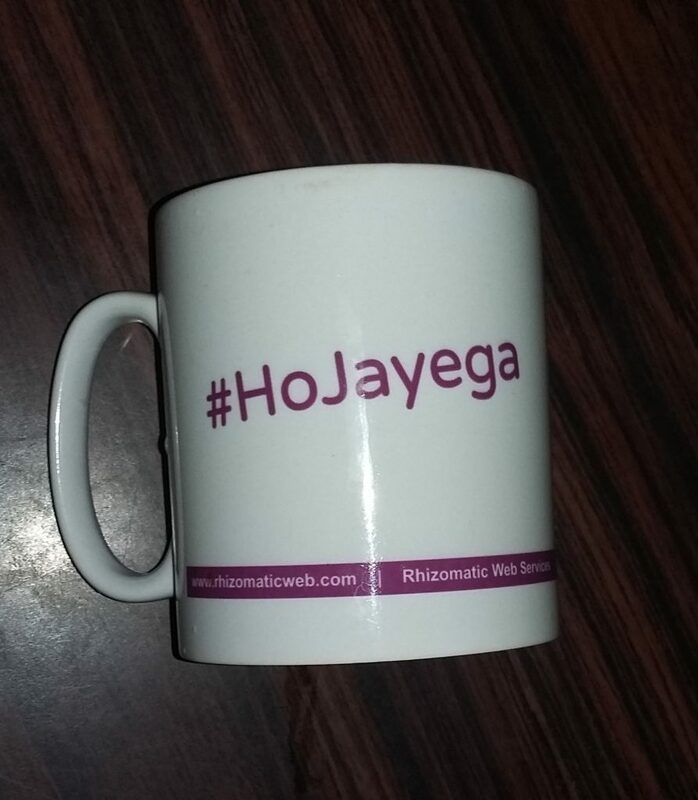 7 Responses to Memory Trigger – Ho Jayega. I love that! thank you (I think!) for particular that little ear worm. what an expression. but it’s wonderful. When I first heard them, I wanted to go to Ghana to listen to them live! They played live in Chennai. That’s how I heard of them and continue to hear them, as recently as 3 months ago, trying to showcase a different sound to the kids. Needless to say, it doesn’t interest them, but K and I bounced around a bit. I did not know that they had come to India. Must have been during the time when I was too busy with corporate life. Had I known, I would have certainly liked to have heard them live as would have Urmeela. Is “It will happen” meant to be encouraging or accepting?